Pet Care Club brings you an exclusive range of natural treatments for digestive weakness and loss of appetite. We stock the top brand HomeoPet natural products for dogs and cats. The digestive upset treatments can help calm indigestion, gas, vomiting and bloating in dogs or cats. It helps fight against digestion related problems and improves appetite. 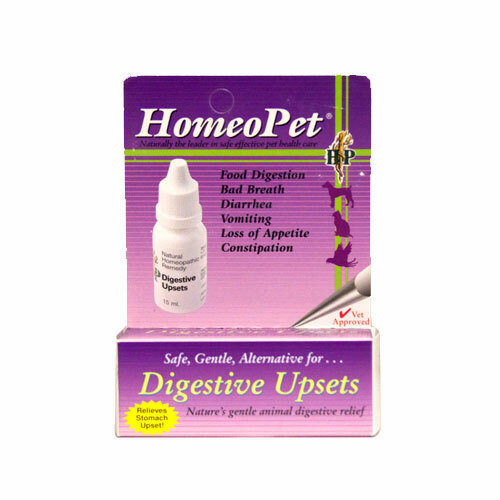 Homeopathic treatment for digestive upset helps pet to free from digestion issues. At Pet Care Club, we bring you effective and reliable natural remedies, which are totally safe and gentle on dogs and cats. Pet Care Club offers wide array of HomeoPet products for varied digestive problems in dogs and cats.